SOUTH KESTEVEN District Council’s Heritage Lottery-funded project to restore Wyndham Park to its former glory has won in a prestigious awards scheme. With so many layers to the park’s history, it was essential that the project preserved historic features for future generations to enjoy and provided a sustainable opportunity for visitors to learn about the history of the site. 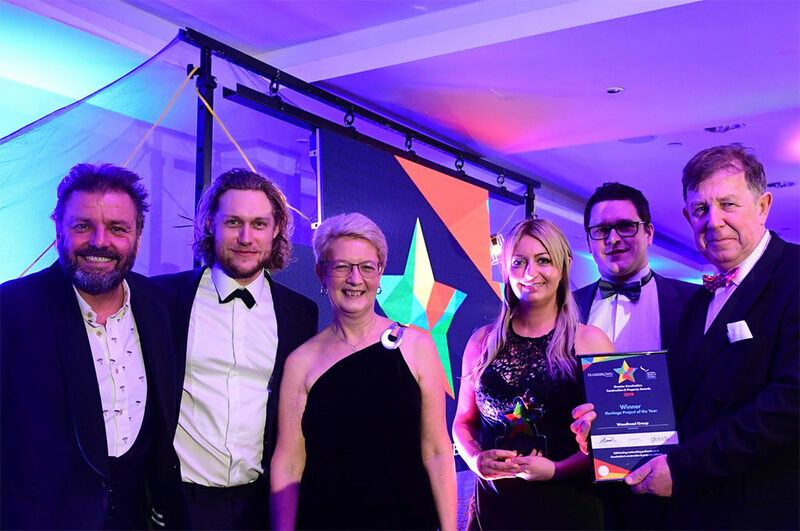 Hosted by Homes Under the Hammer star Martin Roberts at Double Tree by Hilton in Lincoln on 5 February, representatives from the council’s main contractor, Woodhead Group, and architect, Hugh Massey, collected the award. SKDC’s cabinet member for retail and visitor economy, Cllr Nick Robins, said: “The restoration of Wyndham Park was a very significant project and the results of all the hard work that went into it have surpassed expectations.